Mr. Rower also said that dual exhibitions of works known as “constellations” were coming up next spring. 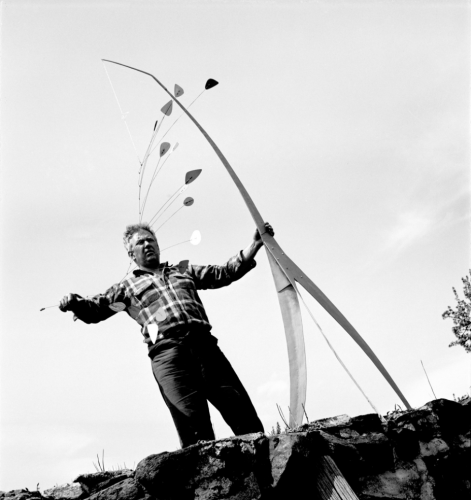 Pace gallery will show Calder’s “Constellations” series in wood and wire, which he made in 1943, and Acquavella will show Miró’s series of 23 tempera “Constelaciones” paintings, done from 1940 to 1941 and exhibited by Miró’s dealer, Pierre Matisse, in New York in 1945. 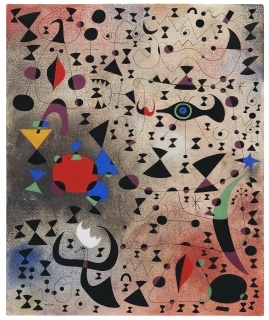 Calder’s “Constellations” series was given its title by Marcel Duchamp (who also named the “mobiles” in 1932) and the critic James Johnson Sweeney; Miró’s were named by André Breton, the father of Surrealism. “Both bodies were made by these two guys, but neither of them named these bodies of work ‘the constellations’ themselves — they were named by other people,” Mr. Rower said.